Stand by Me has been caring for needy children in Nepal since 2010 in our hostel. On Saturday a devastating earthquake hit Nepal, causing destruction on a massive scale and the death of over 5,000 people. It is the worst earthquake to hit Nepal in its history. Homes, hospitals and schools have been destroyed and thousands of people are at risk. When the earthquake struck, many of our children were visiting their families for the holidays. Our immediate concern is that while some have returned safely to our hostel, the great majority are still unaccounted for. We have heard good news that a group of our children are endeavouring to make their way back to our hostel from the remote villages where 256 homes were completely destroyed. We have sent staff to meet them as it is a long trip over the mountains on foot, four days walk at least, landslides have made the tracks impassable so walking the whole way is the only option. Once home they will receive medical checks, food, shelter and lots of warm hugs! Thank you for your amazing support to our appeal! We have been astounded by your generosity and kindness towards the people of Nepal. But we still need your help . Please keep sharing our appeal, we are continuing to hear new reports of the widespread devastation caused by the earthquake. Families and communities who had very little to begin with have lost everything and they urgently need our help. The funds we have received through the appeal so far are being used to help 150 families in the remote villages whose homes have been completely destroyed. Families are sleeping outside under the open sky, cold, wet and vulnerable. All their food supplies were stored below their houses that have collapsed and their food is ruined and inaccessible. Stand by Me staff have arranged essential relief to each family including a tent, foam mattresses and food supplies which will last at least 15 days. The cost of this temporary but vital relief is £30 for each family. It’s easy to see the terrible images of destruction on the news and become disheartened, but just £30 will help us stand by a family and bring them love. 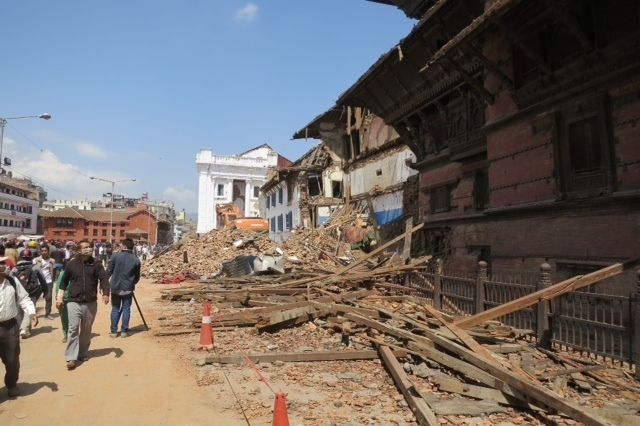 Give to Stand by Me’s Nepal Earthquake Appeal today.